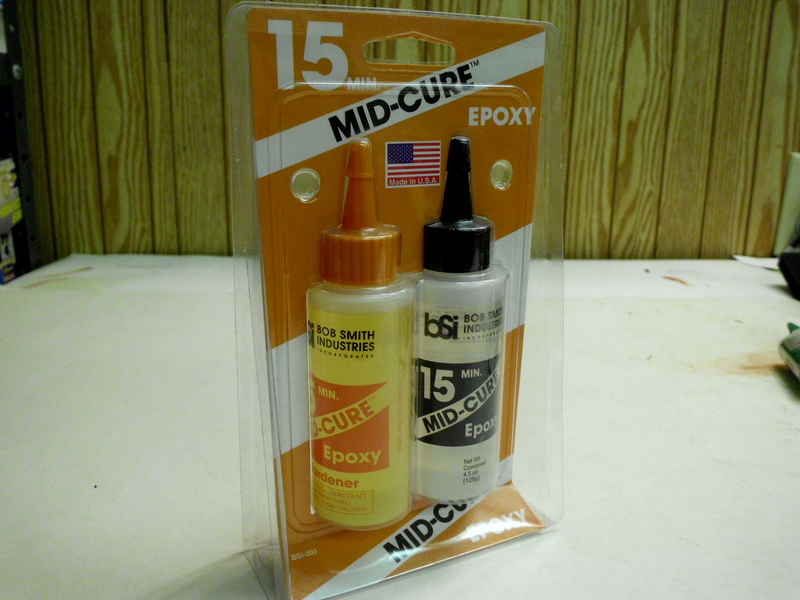 Epoxy Resin Adhesives have been available to hobbyists for a long time and they usually come in a 2 part package of a part A. Resin and a Part B Hardener. Epoxy resin adhesives must be properly mixed in a 1:1 ratio of resin to hardener to cure and bond the project in question. 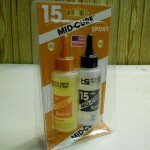 If the adhesive is not mixed thoroughly it will not effectively cure resulting in a weak bond. Epoxy resin adhesives have an unique characteristic of having an unpleasant odor. This foul smell is almost universal for epoxy resin adhesives. Epoxy bonding resins are usually found in a thick semi-liquid state but they can also be found in a solid putty form that is kneaded like bread dough to initiate curing. Once cured, epoxy resins are solid, dense and hard. They can then be machined, carved, drilled and tapped like a solid, dense piece of material. This type of bonding adhesive has the longest shelf life of the three adhesive agents that have been discussed in this series of articles.